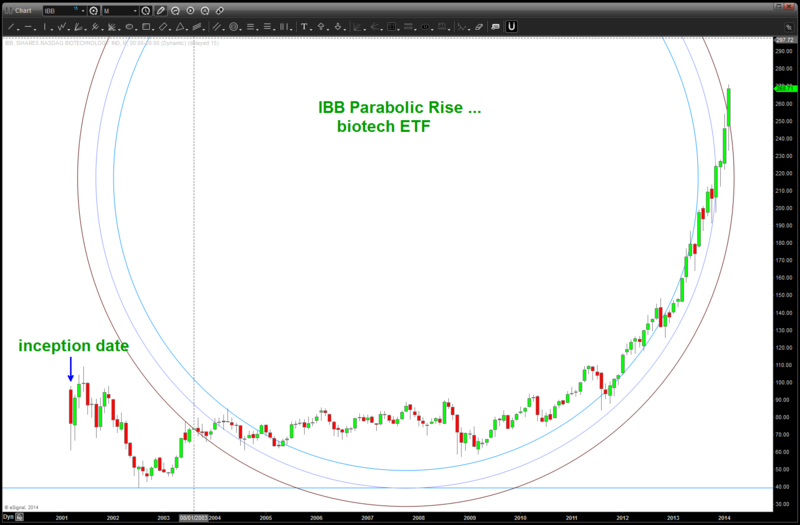 I was asked to take a look at IBB again and decided to re-post the below. Look folks, as much as the below is a work of art I’ve also been wrong on the patterns. 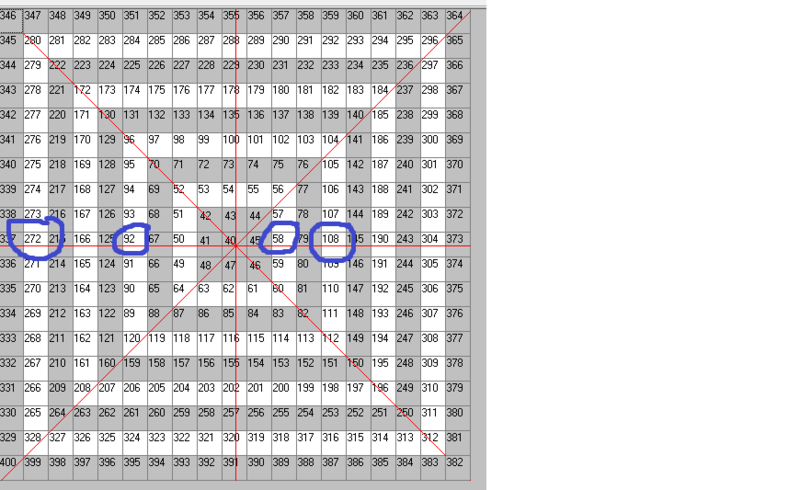 it’s all probability and the patterns are always CORRECT? Why, because they LET YOU KNOW WHERE YOU ARE WRONG! And, when you become an advanced pattern recognition trader, IF (the big if) you execute correctly THEN you know that you’ve done everything you can do to manage risk and your not SURPRISED or HAPPY when one works or SURPRISE and SAD when one doesn’t. 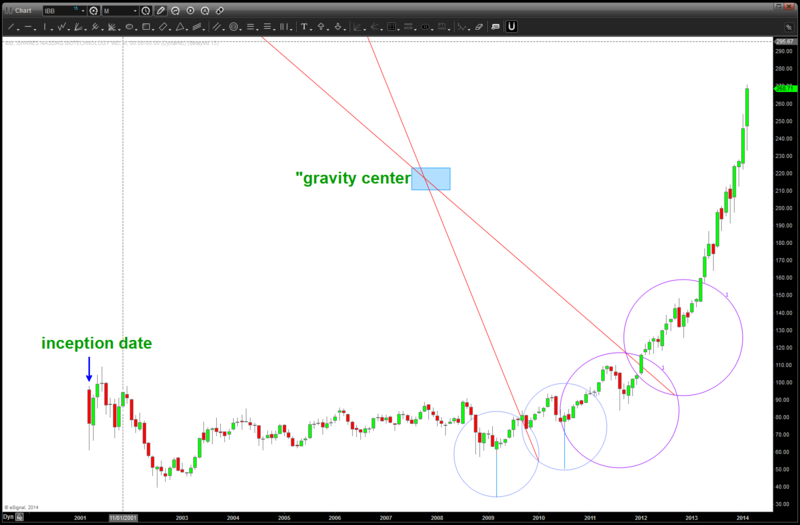 The PATTERN will work or it wont …off my soap box. Anyway, take a peak at the below and try to follow me … let me know if you have any questions. Sir Issac Newton is still correct about this thing called gravity. 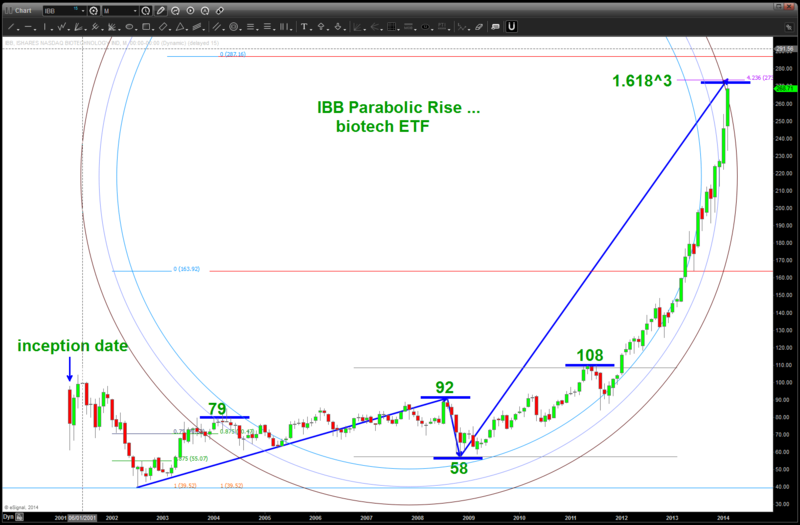 IBB Biotech ETF is in the parabolic stage. Very tough to develop targets in this type of environment (straight up) but an attempt is made. 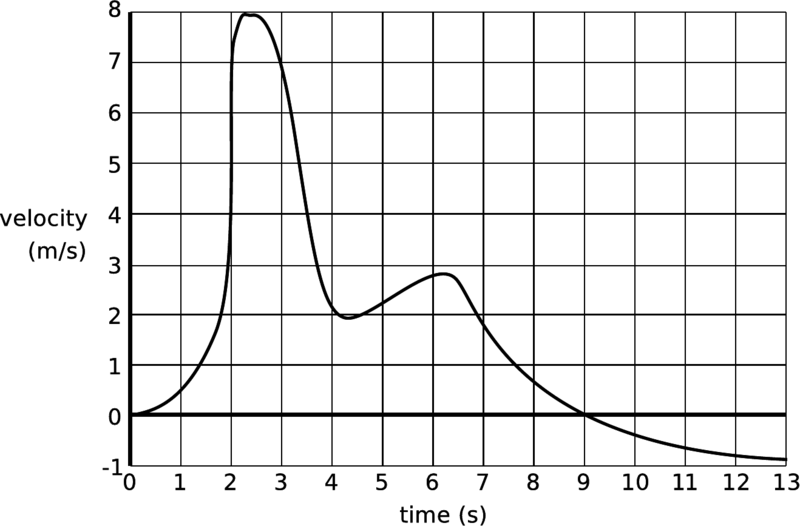 per the title of this post, the basic effect of gravity has yet to be proven wrong. what goes up WILL come down unless we blow thru the earths atmosphere and cruise along in space w/ Sandra Bullock. And, why not? 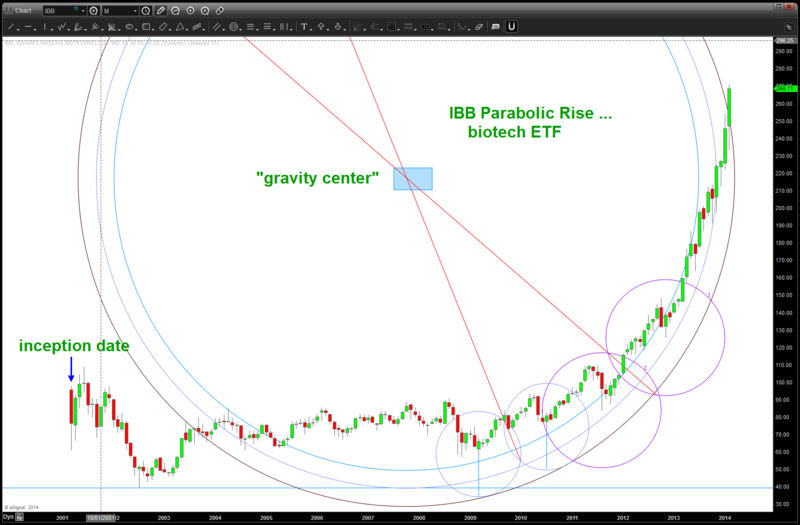 the stock market is NEVER going to come down and it’s different this time ….